A community workspace in CRYSTAL LAKE for creatives, entrepreneurs, and remote workers. A place to focus on projects, expand your business network, and engage with other businesses. Community events such as lunch and learns, speakers, book club, and pitches. 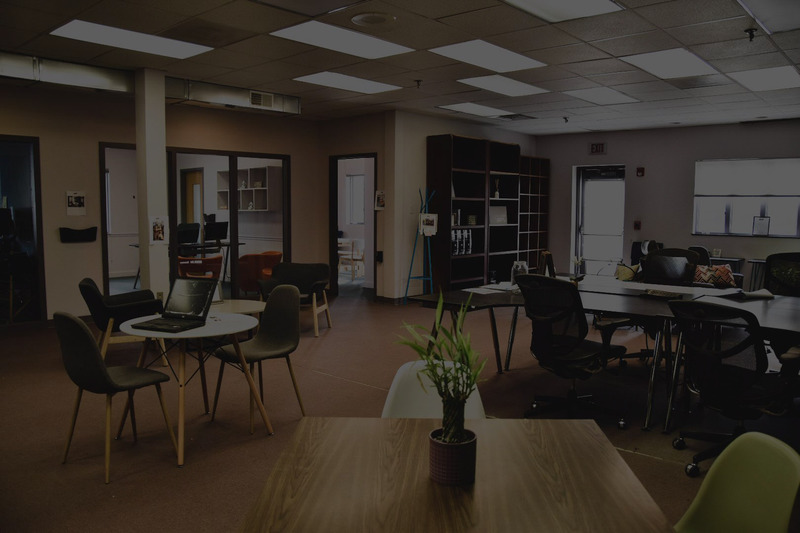 Amenities: Shared work spaces, conference and meeting rooms, kitchen, bathrooms, private offices, fast WiFi, coffee/snacks, free parking and walking distance to downtown district and train. We are building a community of like minded, hungry, growing creatives and entrrepreuners will come together. We’ve put together a jumpstarted space, currently it’s a little raw, but our vision for a shifted coworking space will be coming together. Amenities on the horizon: private phone booths, unique common areas, concierge community manager, professional and social events, mail and packaging handling 24/7 access. A community workspace in CRYSTAL LAKE for creatives, entrepreneurs, and remote workers. A place to focus on projects, expand your business network, and engage with other businesses. Community events such as lunch and learns, speakers, book club, and pitches. Amenities: Shared work spaces, conference and meeting rooms, kitchen, bathrooms, private offices, fast WiFi, coffee/snacks, free parking and walking distance to downtown district and train. We are building a community of like minded, hungry, growing creatives and entrepreneurs. We’ve put together a jumpstarted space, currently it’s a little raw, but our vision for a shifted coworking space will be coming together. Amenities on the horizon: private phone booths, unique common areas, concierge community manager, professional and social events, mail and packaging handling 24/7 access. Enjoy Free Cowork Fridays with us. Check Facebook for dates and to RSVP. Also, special launch pricing available.